Gmail works around the concept of tags (or labels) and any email message can belong to one or more tags. Google Drive has folders instead of tags and thus any file or folder in Drive can have a single parent folder. For instance, if you have uploaded a presentation file in Folder-A, it can’t simultaneously exist in Folder-B. Right? 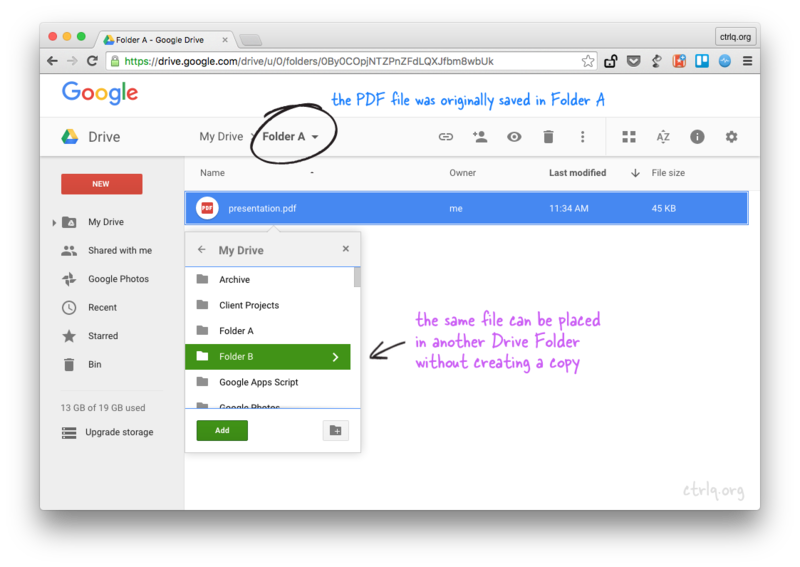 Well, you’ll will be surprised to know that Google Drive does allow you to place any file inside one or more folders without you having to create multiple copies of that file. 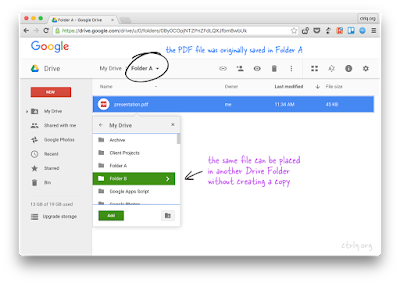 This makes Drive organization easier and if you edit the file inside one folder, all the other instances are updated as well since they are essentially pointing to the same file.